Today we are so excited to reveal the cover to Sharon Roat's debut contemporary BETWEEN THE NOTES (June 2015, HarperTeen) I love books about music and I really love this cover. I hope you do too! 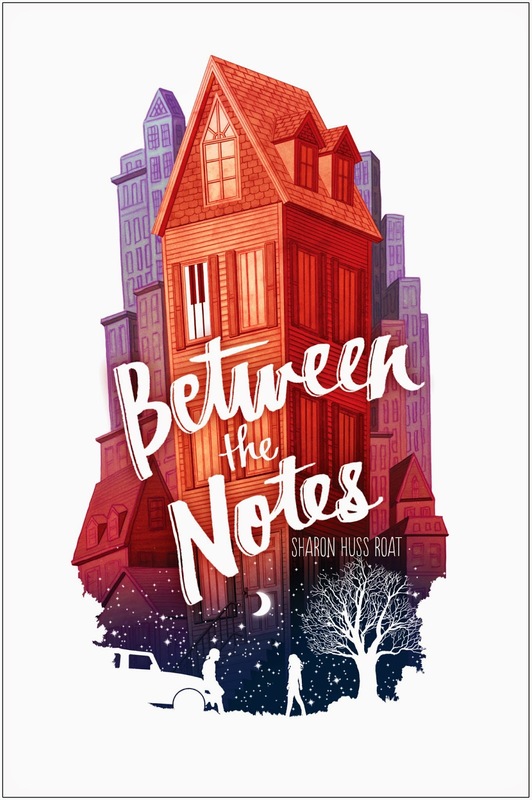 Also, Sharon is generously giving away a signed ARC of BETWEEN THE NOTES, so be sure to enter below! When my editor told me they were working on cover designs and asked for my input, I was excited and terrified! (Pretty much describes my state of mind throughout the publishing process.) I spent several hours picking out examples of YA covers I loved. Until then, I wasn't entirely sure what I was looking for in a cover. But the collection I had curated made it pretty clear. Most of the covers I fall in love with are: 1) are either fully illustrated or combine illustration and photography; 2) have hand-lettered titles; 3) are colorful and light; and 4) give a visual hint of the main characters but leave their exact appearance to the imagination of the reader. The only specific visual I mentioned in my cover ideas was Ivy’s little attic room at the top of her family's tall, skinny house. I was therefore thrilled when I saw the first sketch for my cover. They nailed it—from the gorgeous colors to the silhouettes at the bottom and the little piano keys in the window. I can't wait to see it on bookshelves! 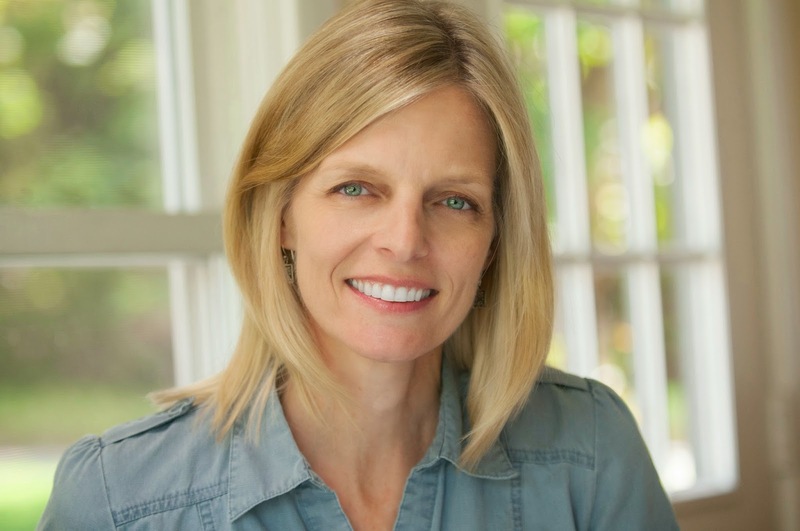 Sharon Huss Roat grew up in Lancaster County, Pennsylvania, and now lives in Delaware with her husband (who makes fonts), her son (who makes music), and her daughter (who makes believe!). She worked in public relations for twenty years before deciding what she really wanted to be when she grew up. Between the Notes is her debut novel. 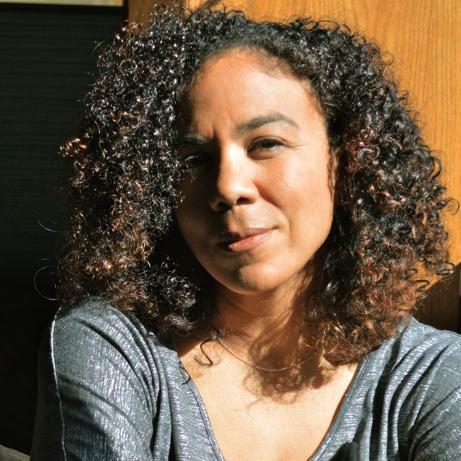 When she’s not writing (or reading) books for young adults, you might find her planting vegetables in her backyard garden or sewing costumes for a school musical. Visit her online at www.sharonroat.com or on Twitter @sharonwrote. Sharon is giving away a signed ARC of BETWEEN THE NOTES. Enter below for a chance to win (US/Canada only, please). Good luck! Sounds like a great book - If I could play any instrument it would be the guitar. Oh, and I would totally play the drums. Lots of stress relief there! Yay! I had the pleasure of reading an early draft of this beautiful book and I can't wait to hold the finished book in my hands! I played flute for two years as a kid, and a little bit of piano lessons, but I really can't play either anymore. I'd love to play the piano, since I now own the piano my mother played as a child - but no one in our house plays it! I like to play the instrument of voice--only utter physical disaster or a bad cold can take it away. I'd go back to violin - played it in elementary as a requirement but gave it up. Thanks for the giveaway! I've played the violin since I was five. Thank you all for the kind words! You're making me want to learn a new instrument, too! I'd like to be able to play the piano. I regret not continuing the lessons I took as a child.